Members of the Commission on Chicago Landmarks debate whether to recommend landmark standing for the old Prentice Women’s Hospital. The committee voted to adopt the recommendation by the Department of Housing and Economic development in favor of Northwestern. CHICAGO — The Commission on Chicago Landmarks voted 8-1 on Thursday to reject landmark status for the old Prentice Women’s Hospital. Northwestern owns the site and can now move forward with multi-million dollar plans to build a biomedical research facility there. Commissioners arrived at this decision after staff recommended landmarking Prentice based on a set of specific architectural criteria. However, a report from the Department of Housing and Economic Development recommended against landmark status based on economic and humanitarian factors. Commissioner Christopher Reed dissented. In his closing statement, commission chair Rafael Leon recognized the difficulty of making a decision that ultimately consigns Prentice to demolition. The ruling in favor of NU deals a debilitating blow to preservationists who hoped to protect the Bertrand Goldberg-designed building. NU officials, however, are thrilled with the results. Most people attending Thursday’s meeting opposed NU’s plans and spoke at length about how Prentice meets four of the seven architectural criteria for landmarking when the status only calls for two. They also emphasized NU’s unwillingness to seriously entertain the possibility of re-appropriating the existing building for other uses. In their presentation to the commission, Sunshine and Ron Nayler, NU vice president of facilities management, said Prentice stands in the way of NU’s vision for connecting its campus buildings on a floor-by-floor basis to encourage interdisciplinary collaboration. Sunshine conclusively said the University’s desired research center cannot be constructed on any other site. Christina Morris of the National Trust for Historic Preservation spoke of the preservationist community’s disheartenment after the vote. Another complaint repeated by preservationists was that the commission’s procedure to preliminarily approve landmark status for Prentice and then immediately rescind it the same evening was disingenuous to their cause. However, commissioners maintain the process is determined by the landmarks ordinance and has been public from the beginning of debates. 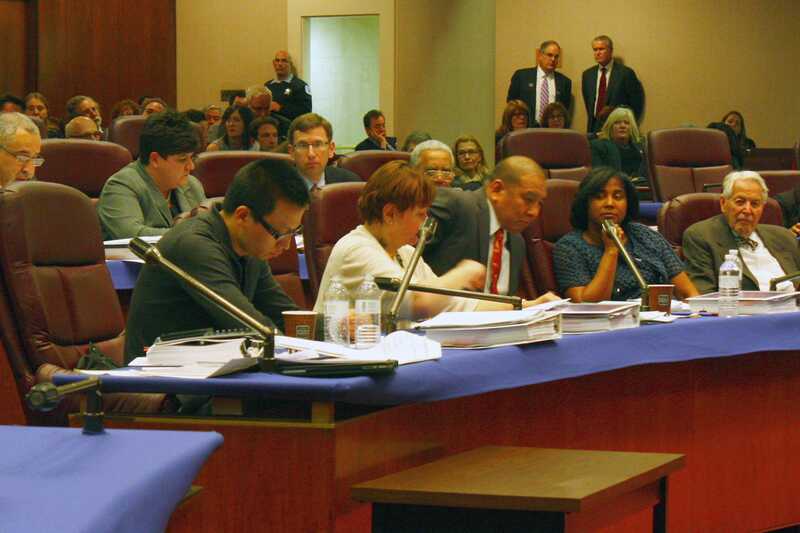 The University’s plans to seek a demolition permit from the city of Chicago. Floor-by-floor demolition of Prentice will occur over the course of several months.